Meng Wanzhou, Huawei’s chief financial officer and daughter of its founder Ren Zhengfei, was arrested in Canada in December at the request of the United States on charges of bank and wire fraud in violation of U.S. sanctions against Iran. Some of the nation's top research universities are cutting ties with Chinese tech giant Huawei as the company faces allegations of bank fraud and trade theft. Colleges including the Massachusetts Institute of Technology, Princeton University and the University of California, Berkeley, have said they will accept no new funding from the company, citing the recent federal charges against Huawei along with broader cybersecurity concerns previously raised by the U.S. government. The schools are among at least nine that have received funding from Huawei over the past six years, amounting a combined USD10.5 million, according to data provided by the U.S. Education Department. The data, which is reported by schools, does not include gifts of less than USD250,000. It's not uncommon for big companies to provide research dollars to schools in the U.S. and elsewhere. At MIT, which received a USD500,000 gift in 2017, officials announced in a memo Wednesday they will not approve any new deals with the company and won't renew existing ones. The memo ties the decision to recent Justice Department charges against Huawei, adding that the shift will be revisited "as circumstances dictate." Company officials did not immediately respond to a request for comment. Federal prosecutors in January unsealed two cases against Huawei. One, filed in New York, accuses the company of bank fraud and says it plotted to violate U.S. trade sanctions against Iran. The other, filed in Washington state, accuses Huawei of stealing technology from T-Mobile's headquarters in Bellevue, Washington. The company pleaded not guilty in both cases. 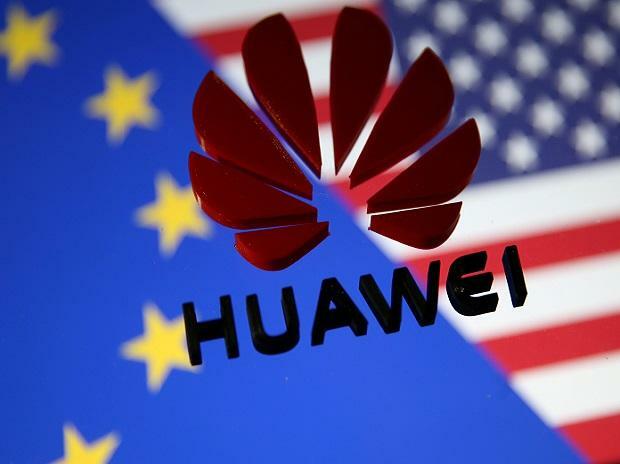 The U.S. government previously barred federal agencies from buying certain equipment from Huawei and labeled the company a cybersecurity risk. Just days after the federal cases were unsealed, officials at the University of California, Berkeley, issued a ban on new research funding from Huawei until the charges are resolved. "UC Berkeley holds its research partners to the highest possible standards of corporate conduct, and the severity of these accusations raises questions and concerns that only our judicial system can address," Howard Katz, the school's vice chancellor for research, said in the January 30 directive. Still, the school is honouring its existing multi-year deals with the company, which amount to USD7.8 million. Officials say most of the funding supports research centres rather than specific projects, and Katz's memo emphasized that "none of these projects involve sensitive technological secrets or knowledge." Berkeley officials investigated whether it had any technology provided by Huawei that could pose a cybersecurity threat. Officials removed one off-campus video conferencing set-up donated by the company, but said it had never been used for research. The school's projects funded by Huawei cover a wide range of science fields, from artificial intelligence and deep learning to wireless technology and cybersecurity. At Princeton, officials told Huawei in January they would not accept the final USD150,000 installment of a gift that supported computer science research. Ben Chang, a Princeton spokesman, said the school had decided last July not to accept new gifts from the company, and has no current projects backed by it. Cornell University has received more than USD5.3 million from Huawei in recent years, by far more than any other U.S. college, according to the Education Department data. Officials there also said they will heed the government's warnings and bar new funding. Existing projects were carefully reviewed, according to a statement from the school, "to confirm that appropriate safeguards were in place to address data and information security, to protect the independence of our research and to comply with all federal and state laws and regulations." Ohio State University is also opting not to pursue any other funding from Huawei. The school has received USD1.2 million for engineering research, according to federal data. School spokesman Ben John said officials are "in the process of closing out the final contract, and are not accepting or pursuing any other gifts or contracts from Huawei.